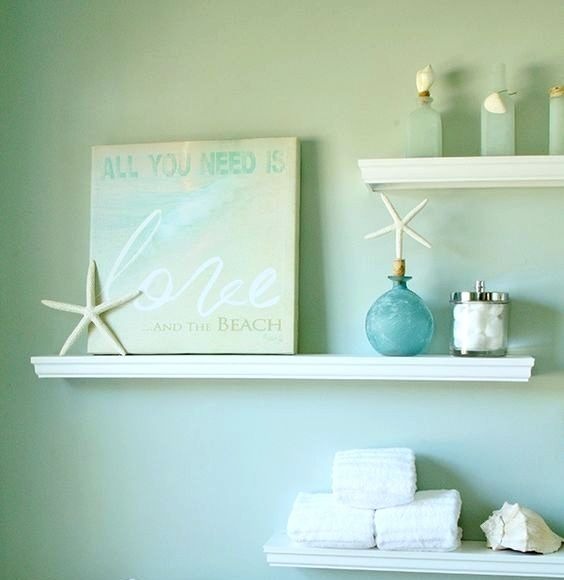 One of Marla Rae's lovely Beach Art Prints in a coastal bathroom seen at Home Depot. If you want to learn how to build floating shelves, hop on over! All beach saying art prints are mounted on 1/2 inch wood with black painted edges for a contemporary look. Beautiful textured finish with flush keyhole hanger in back ready to be hung.